“Who is coming for me today?” When there is a chronically and/or terminally ill child, siblings become accustomed to the focus placed on the sick child by the adults around them. They are often silent sufferers and disenfranchised grievers because, within the context of this scenario, their place is poorly defined. Even more so, most clinicians are not equipped – whether by time, resources, or education/experience – to support the siblings within the family unit. With research demonstrating that 1 in 7 Americans will lose a parent or sibling before they turn 20, there has been growth in programs that provide developmentally-appropriate education surrounding illness, death and support through the journey. It is time to place emphasis on the dialogue and training to support these beloved children. 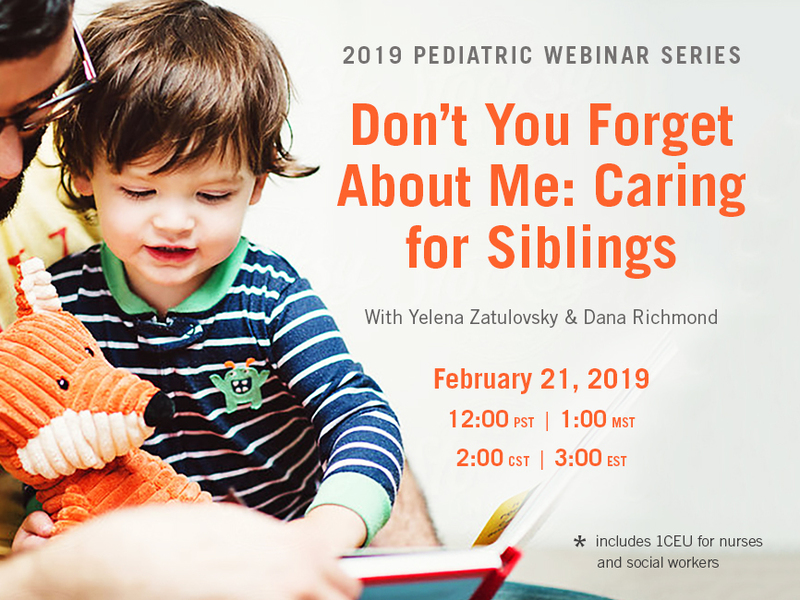 This webinar will highlight the experiences of siblings, as told by the siblings themselves, and will examine the evidence-based interventions, strategies, and obstacles towards an effective framework of support that empowers and honors siblings. Complimentary registration is available for parents. Contact Kristen Bond, kbond@coalitionccc.org, for a special discount code.